Here’s a fun way to cool off. You may recall we showed you how to create some pretty hand fans using clothespins. 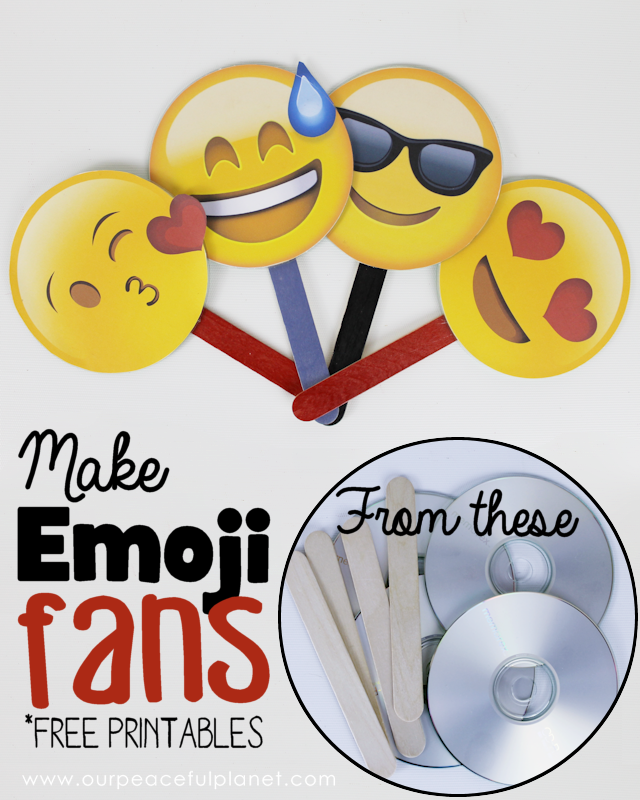 For this modern version you can download and print our Free Emoji Fan graphics and glue them onto an old CD or DVD then attach a tongue depressor! Kids and adults alike would enjoy these. Keep a bundle in a container for handing out. Give them as party favors. Hand them out at outdoor events. 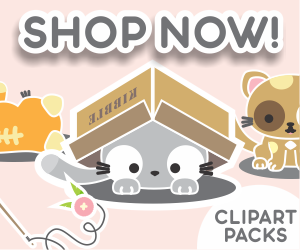 No matter how you use them they’re sure to put a smile on faces! I am having issues downloading the faces. Can you send me a direct link please? Hi, is this still active? I’m having trouble with the link Thank you! Just sent you an email Tami with the attached pdf printable. Sorry you had trouble. It appears to be working on my side but computers can be glitchy things. Ü Thanks! How fun!! I now know how void I’ve been of creativity!! Dollar Tree sells spray adhesive, too. No idea how size vs price makes which a better deal but if this is a 1st use for, then a cheap alternative. Similar design could be used to make “Have & Have Not” paddles for a getting to know you, ice breaker, party idea!! These are great! They’re so much fun! I hope more are released!! I love the laughing one and teary one. Congratulations! This recipe is featured over at Diana Rambles today and has been pinned in the Featured at Diana Rambles board at Pinterest, Tweeted, and Stumbled.. Please grab a featured button off my button page or via the post guidelines graphic. Thanks for sharing this awesome idea! Thank you SO much. I left a comment on your post and I likewise shared it everywhere! I just found your site — and these fans are absolutely adorable!!! I think I’m going to make these with the grandkids — and put a emoji on each side. I have a link party that I’m trying to grow. I invite you to share this — and a couple of others — at my Grandma Ideas Sharing Time link party at http://grandmaideas.com. I think my readers would love this as much as I do! It goes from Wednesday morning at 12:00 a.m. through Friday at midnight Mountain Daylight Time. I hope that you can make it to the party! Thanks Nina! So glad your found us. Appreciate the comment!